This story had a longer and stranger journey from the original idea to publication than, I think, any other I’ve published. It was originally written for an anthology of far-future stories of gigantic scale — smashing planets, building Dyson spheres, and the like. It started off with the title “Interview with the Photographer,” a story told in interview format with a photographer who had captured the defining image of a generation. Alas, by the time I finished that first version the anthology for which it was intended was full. It kicked around for a couple of years after that, collecting rejections. I got a revision request from one of the major magazines, but after long consideration the revision was not accepted; it came close at Aeon, but was rejected with a long, thoughtful letter. The setting and situation of “Interview with the Photographer” were pretty much the same as what finally got published as “The True Story of Merganther’s Run,” but it was all backward-looking, told not shown, and lacked emotional engagement. Also, the photographer character was inherently an observer rather than an active participant. After that series of rejections I gave it a complete, from-the-ground-up rewrite, with a new, more active main character and a new title. This version also got rejected from a bunch of markets (although they were very encouraging near-miss rejections) until I tried Aeon again. This time they came back with a revision request. I revised it as requested, and they bought it! 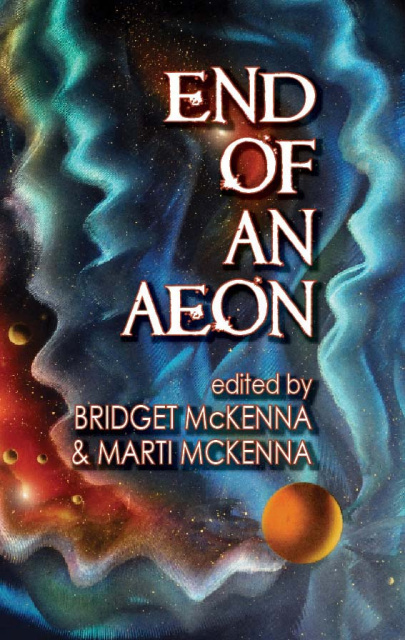 Unfortunately, Aeon folded before the story was published. But the editors approached me at a convention and told me they were planning to produce an anthology of all the stories they’d bought and been unable to publish. I told them I’d be happy to have it appear in that instead. After many false starts, it finally appeared three years after that — nearly eight years after it was written! I emerged into a motionless, darkened industrial station. The angular forms of platforms under construction jutted all around, harshly illuminated by white emergency pinpoints. Here and there a cable or tool floated free, left unsecured in the rapid evacuation, but there was no sign of the reason for that evacuation. Then I noticed that Jupiter, which had dominated the view from this point when I’d gone into the refuge, was no longer visible. The station had been turned so the bulk of the platform was between the planet and the working bays. Why? I fired suit jets and moved cautiously through the abandoned complex, watching out for floating equipment or other people, but I was completely alone; everyone else was sealed into their refuges. That simple fact was enough to turn my guts to ice water — nothing had ever before stilled the factories — but it also pressed me forward, because whatever had happened must be so historic I had to see it with my own eyes. A few minutes later I reached the edge of the platform and peered over. Where the planet had been was an irregular, expanding cloud of gas, filled with dark tumbling forms. Jagged, rocky-looking objects the size of moons emerged from the cloud, spewing vapor and spinning off in every direction. As I watched, one of the smaller rocks impacted a platform under construction nearby, crumpling it like paper and sending it tumbling into another. A hail of debris sent me scuttling back to the refuge, heart pounding and fingers trembling.